April 19 ~ Walk on Woodburn, 5-9, a neighborhood celebration in East Walnut Hills﻿ with special guest artist, BJ MCHugh of Loveworn. 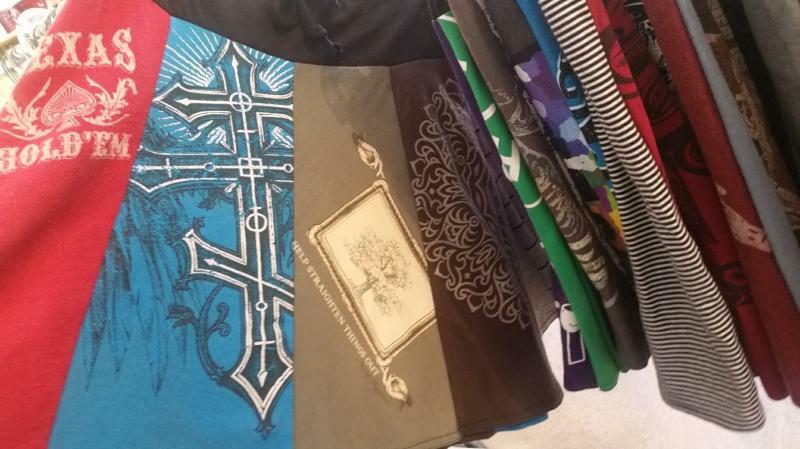 Enjoy her Spring Trunk Show, 1-9 of cool wearables created from upcycled t-shirts. April 19 ~ TENTH & FINAL artTILE exhibit opens! 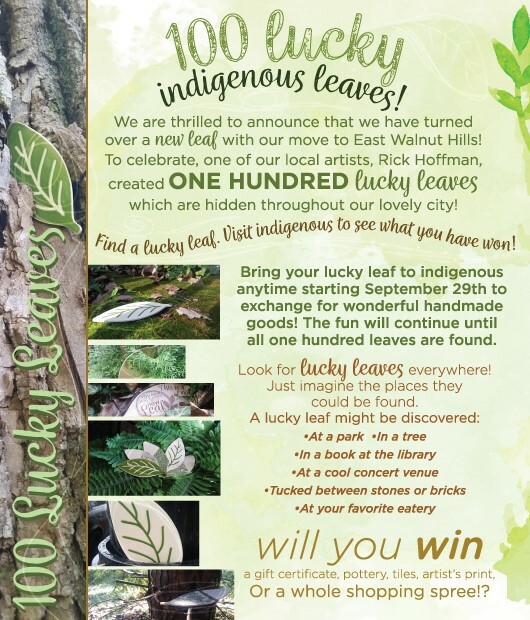 continues until all 100 #luckyleaves are found! Please join us as we turn over a new leaf with our move to our new gallery space in East Walnut Hills. As part of the celebrations, we have hidden 100 LUCKY LEAVES throughout our lovely city. Each leaf gets the finder a prize when brought to indigenous. indigenous brings the artists' studio to you with our series of artful events. Guest artists present a special collection of their newest works and often a demonstration of their creative techniques. It's a great chance to meet the artists and peruse their latest wares! See the handmade being made by hand.